December 17, 2010 -- ASU's news team announces guidelines and deadlines for internal and external news coverage. Who we are: ASU news is gathered, produced, edited, posted online, and distributed by Gina Bowman, director, Media Relations, and Sara E. McNeil, director, University Communications. Contact either Bowman (office line (870) 972-2250; cell (870) 243-6020) or McNeil (office line (870) 972-3633; cell (870) 897-5088) with any questions. We want to hear from you. The ASU news team reports directly to Christy Valentine, executive director of Communications. 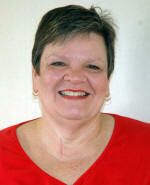 Gina Bowman worked in the sports information office at Arkansas State for 32 years before moving to the university communications office, July 1, 2008. At that time she was named Director of Media Relations for ASU. Bowman was part of the ASU mascot retirement group and worked with the Centennial Committee for the university’s 100th anniversary celebration. Bowman covers numerous colleges and divisions at ASU, including the College of Nursing and Health Professions, College of Business, College of Communications, College of Engineering, College of Science and Mathematics, Graduate School, Arkansas Biosciences Institute (ABI), ASU’s graduation lists, scholarship releases, and publicity for ASU’s nationally-ranked rugby team. A 1976 graduate of ASU with a degree in journalism, she joined the athletic department staff where she served as an assistant in sports information from 1976-94 and again in 2006. She took on the job of assistant athletic director for media relations in 1994, and during that span, added the responsibility of the department’s senior woman administrator until 2002.She has served on various committees at the school, including the first NCAA Certification committee during 1995-96 for Gender Equity, Minority Issues, and Student-Athlete Welfare. In addition, she was a committee member of the Sun Belt Conference track and field, football, NCAA Post Graduate District, and NCAA Scholarship groups. Bowman was selected to the media relations staff at the United States South Sports Festival in St. Louis in 1994, and has also worked for the Arkansas Democrat before the newspaper merged with the Arkansas Gazette, as well as with the Pine Bluff Commercial. A winner of the 2001 quarter century service award by the Sun Belt Conference, she also received an Outstanding Service Award from ASU in 1998. Bowman is also a voting member of the College Sports Information Directors of America since 1990, and holds memberships in the Female Athletic Media Relations Executives organization, Basketball Writers of America, Football Writers Association of America, and Arkansas State’s Alumni Association. Sara E. McNeil is a 1984 graduate of Newcomb College, Tulane University, where she do uble-majored in English and Philosophy. She earned a master's degree in English from Vanderbilt University in 1987. She worked as a member of the news media for 18 years, including time at alternative weekly newspapers (Spectrum Weekly, arts writer; Little Rock Free Press; arts editor ) and daily newspapers (The Jonesboro Sun, arts editor). She worked for two years as a copy editor at the Memphis Commercial Appeal. She has also worked as a freelance magazine writer for At Home in Arkansas and Jonesboro Occasions. She has worked as a corporate communications specialist for Federal Express Corporation. She taught English at university level for 5 years and has extensive freelance and academic writing and editing experience. University divisions and colleges McNeil covers include the College of Agriculture and Technology, the College of Education, the College of Fine Arts, including Fowler Center and the Bradbury Gallery, and the College of Humanities and Social Sciences, including the Delta Symposium, and the ASU Museum, as well as other divisions as needed. Additionally, one of McNeil's primary responsibilities is the creation, distribution, and posting of Inside ASU, the electronic newsletter for faculty and staff. What we do: Together, we gather, produce, edit, post online, and distribute virtually all official Arkansas State University releases, some 300-plus releases a year. Visit the NewsPage for examples of releases, including graduation lists and Chancellor's and Dean's lists. News releases are distributed to local, state, and regional media outlets. We also produce and distribute Inside ASU, the electronic newsletter for faculty and staff. While Inside ASU is of interest to our internal audience, it is also distributed externally to legislators, the ASU Board of Trustees, and selected media contacts. We are available to advise departments, divisions, and other entities on communications strategies and plans. We also serve as liaisons for photographic support for events. In a rapidly changing media environment, time is a critical factor. Space is another. As news holes continue to shrink in print media, getting news out quickly is more important than ever. We must receive all information two weeks prior to the date of the event if we are to have any hope of obtaining media coverage. One week or less is simply not adequate to insure pick-up from local media, especially smaller local weekly newspapers. We need information four weeks in advance for state or regional media coverage. Due to the incredibly high volume of material we receive, sending information earlier is always better, and we do prioritize material in order of receipt, especially items for Inside ASU. Date- or time-sensitive events of university significance will take priority over faculty items, which have longer shelf-lives. Send information as text via e-mail to Gina Bowman, director, Media Relations, and/or Sara E. McNeil, director, University Communications. It is always wise to copy both of us to ensure your event or achievement is published and distributed. We will provide templates for both news releases and Inside ASU items at your request, although our posted releases and archived copies of Inside ASU provide good guides. Electronic text makes it faster and easier for us to process your information, and it is the way our media contacts prefer to receive information. We also ask that you send all photographs to us as attached jpeg images. We cannot extract photos from Microsoft Word documents, and in general, pdfs are not useful to us nor to our media contacts. We can and sometimes do link pdfs to online releases. In addition, for reproduction in print media, photographs should be at least 150K-1M in size, and high resolution (300 dpi, or dots per inch.) Photos grabbed from the web are usually 72 dpi, and cannot be used successfully for print. You are the expert; we ask that you send us a draft of your information. We are not able to write feature releases due to our volume. If your news item can be linked to additional information, please forward us relevant links as well. Finally, be sure to include contact information--the name, e-mail address, and telephone number--of an individual who can be contacted for further information. This is a critical feature for news releases that will be picked up by other media outlets. In essence, we need the event, the date, the time, the venue (including a physical address) and information for a contact person or entity, along with that person or entity's e-mail and phone number.--the basic who what when where why and how of journalism. Feel free to give us context--why your item or release matters, and to whom it matters. We work under the constraints of the modern 24/7 news cycle, the constraints of our media contacts' deadlines, and the constraints imposed upon us by the sheer volume of material we handle. We strive to accommodate the ASU community, but we cannot dictate what media outlets do with the information we provide them. By sending us your information as stipulated, we can process your information more quickly, and improve your chance at media coverage of all types.